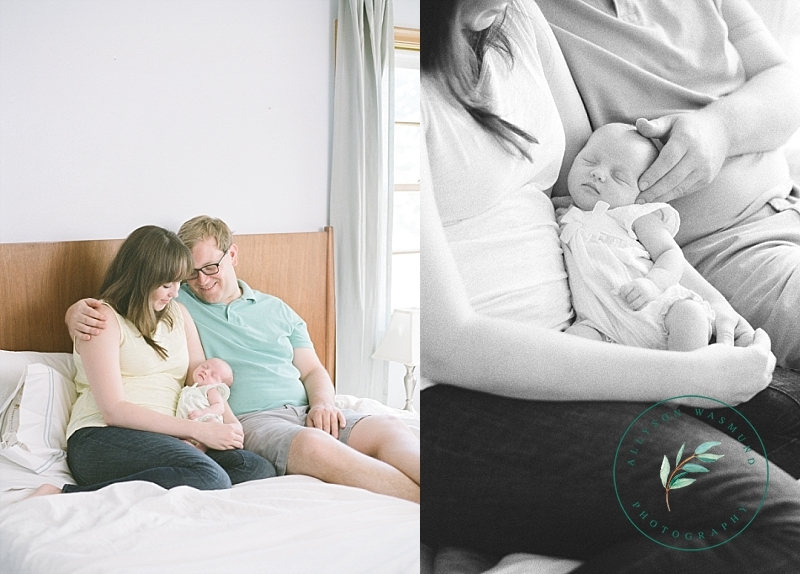 Lifestyle newborn sessions with siblings are some of my favorite to photograph. It just warms my heart when I get to see the older child love on their sweet new baby brother or sister. They are always so proud! And so excited when we talk about all the fun things they will get to do together. It is adorable!! I have two sisters of my own, so when I get to see two new sisters together it just makes me smile. These two sisters are going to grow up the best of friends with so many adventures ahead. Allyson Wasmund Photography is located in Saint Paul, Minnesota and specializes in young family milestones including maternity, newborn, baby milestones and motherhood using the timeless medium of film. AWP services the entire Twin Cities area including Woodbury, White Bear Lake, Stillwater, Roseville and Eagan.